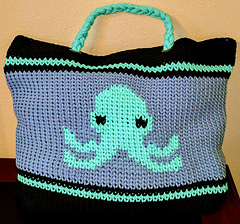 This Octopus Tote works up super fast with a big hook and some bulky t-shirt yarn. 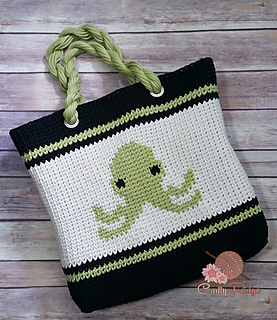 This fun oversize tote design is perfect for the beach, your projects or a trip to the market. 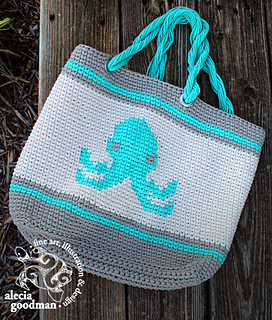 THIS IS A PDF FILE The pattern will be available for download as soon as payment clears. If you have trouble downloading the file please message me. You are welcome to sell finished items. 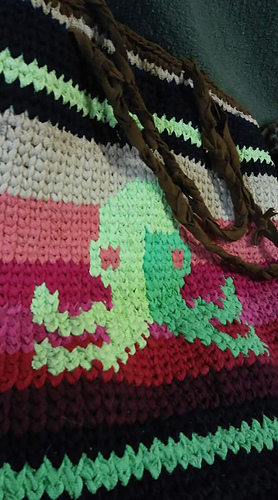 All patterns are copyrighted. Please do not copy, sell, or redistribute this pattern in any way. 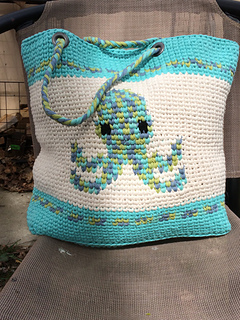 All photographs in listing and the patterns themselves are not to be used for the sale of your item.